This website is for claiming CE credit after the webinar only. There is a fee for registration. The link to the registration page can be found here:https://secure.touchnet.net/C20974_ustores/web/store_cat.jsp?STOREID=137&CATID=112. Please e-mail Kathryne Channell about any registration questions kathryne.channell@lipscomb.edu. Brief Bio : Dr. Nola is a graduate of the UT College of Pharmacy with her PharmD and the UT College of Graduate Health Sciences with her Master’s of Science degree. She completed a community pharmacy residency at Bartlett Prescription Shop. 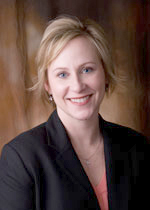 She has been a clinical assistant professor at Mercer University Southern School of Pharmacy. Dr. Nola worked in the biotech industry for Immunex Corporation and Amgen working in the area of Medical Affairs and Health Outcomes and Pharmacoeconomics. She has been both a volunteer with TPA as a past President and a staff member as former Associate Executive Director. Dr. Nola is currently Professor and Vice-Chair, Department of Pharmacy Practice at Lipscomb University College of Pharmacy and Health Sciences.